Wendy is also the author of the bible on balancing career and family, How She Really Does It: Secrets of Successful Stay-at-Work Moms. An expert on career, building confidence, and work/life issues, Wendy has appeared on dozens of radio and TV shows including: NBC’s “Today” show, ABC’s “Good Morning America,” MSNBC, CBS, FOX News, CNN’s “Headline News” and others. She is a contributor to CNN.com and the "Huffington Post" and has written for the New York Times, Fast Company, Business Insider, Time, Refinery 29 and other publications. Her humor and conversational tone make Wendy a popular corporate and conference speaker. She has been invited to speak around the country to events including: the World Bank's Women's Conference, the Other Festival, the Governor’s Conference for Women in California, Texas, Massachusetts and Pennsylvania. Companies including Google, LinkedIn, Taco Bell, Ziff Davis, Goldman Sachs, Ernst & Young, Citi, AOL and many others have brought Wendy in to speak about work/life and career issues. In November 2017, Wendy gave her first TEDx talk in Boston, "Harnessing the Power of Humiliation." Wendy lives outside New York City in South Orange, New Jersey, with her husband Michael and her two children, Jonah and Lexi. Wendy Sachs is a modern multi-hyphenate. 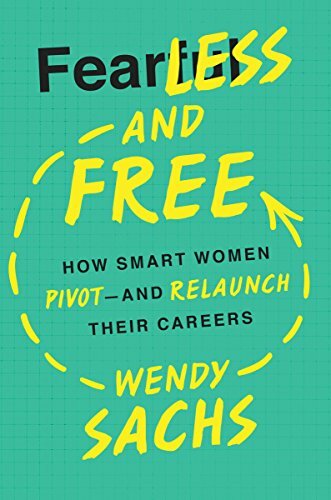 A passionate storyteller, she is an Emmy award-winning network television producer, former Capitol Hill press secretary, editor-in-chief of Care.com, media relations executive, content strategist and the author of the critically acclaimed Fearless and Free: How Smart Women Pivot and Relaunch their Careers. Wendy has been recognized by MAKERS and was also named in 2017 on Forbes.com as a "40 Over 40 Woman to Watch."